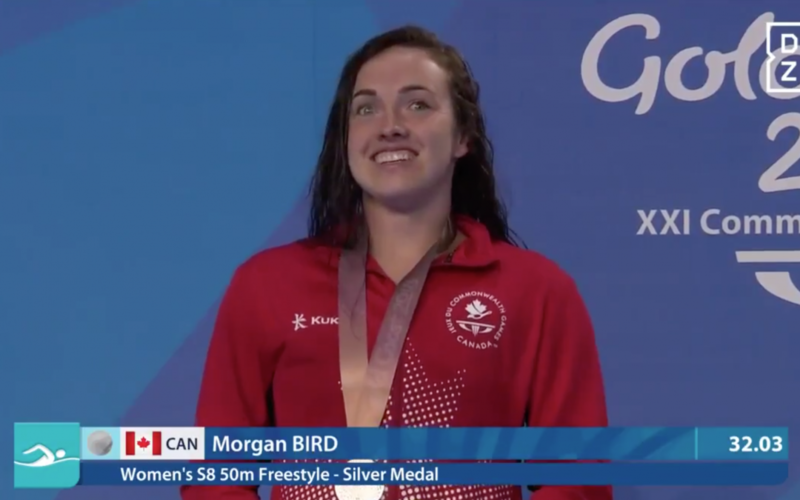 Morgan Bird wins Silver at the 2018 Commonwealth games!! Australia’s Lakeisha Patterson won the final of women’s S8 50 metre Freestyle at the 21st Commonwealth Games, registering 30.14 seconds. Silver went to Morgan Bird of Canada with a timing of 32.03. Canada’s Abigail Tripp won the bronze.